What an awful time for everybody involved. My heart goes out to Megan and Jason. Wre they your children? Oops should say ARE they your children. Megan is my daughter while Jason is her partner.Jason has been called on in the past to use his equipment. I am not sure why it is standing idle this time. The death toll now stands at 50. We are sitting in front of the television watching the Channel 7 report. I have just spoken to Megan and they are safe. The weather conditions are fair also. Diane it is times like this that we wonder about the greenies. Actually, I have the potential to be one, however I think I have more common sense. When we drive down to Vic from NSW we see just how much there is to burn. What has happened to safety, back-burning and fire trails? I have been so concerned since yesterday when all of this began with the fires. Praying as I write this that your family is safe & the fires have stopped burning. Our local news has shown us what is happening there and the devastation surrounding it. I know you will keep us updated, so I will be watching. Such a shame your swim has brought you more pain. Back to more morphine. Have to get to the cause of all of this dreadful pain and wipe it out. Diane Rodgers my dear friend, I was so relieved to speak to daughter Megan last night and find that Jason is happy that he has put his equipment into a clearing and feels it is reasonably safe. We live with a tree covered mountain right behind us. When we decided to build it was in a 'safe' area not surrounded by trees. Unfortunately many of the homes that have been burnt to the ground were in areas that left them very vulnerable. What is incredible is that many of these fires have been deliberately lit, as were the fires on the Central Coast? As far as my pain! I knew when I went to Tai Chi last week that it caused me grief. Now even the beach left me in unbearable pain. Not sure my friend! What to do now? Morning Mandy, this is dreadful. Isn't it? I find it hard to believe that it could be deliberately lit. You would personally wring their b..... necks if you got hold of them. It has to be a sickness. Apart from the loss of life, could you imagine losing all of your personal posessions. Loss of life stands at 108 as I write this and more to come..
Hope your family are all safe and well..
Hi Chez, like you I worry about family in the fire zone, my brother and his partner have had to evacuate the house they rent, and he went down to another town where they are building a house and they are now separated by roads cut off from fire. 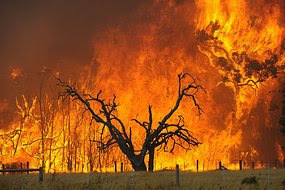 We shall have to pray together for the safety of all, there has been too much death and trauma, it is time to end these fires and begin healing. I will think of Megan and Jason when I offer my prayers, and hope we can all stop worrying soon. I was not aware that you have a brother living in that area? Is he is Gippsland or elsewhere? Hard to comprhend! I have thought of jumping on a plane to fly down where at least I could make sandwiches etc for the fire fighters. I feel totally useless knowing that I have many friends in the area. Have been wondering how you are going? Is the throat OK? Give Mum my best wishes also. Cannot believe how quickly time flies for me. I would like it if I felt truly organised however, there is so much to do and so little time.